Adroit Theory Brewing Company is a nano-brewery on the #LoCoAleTrail focusing on small-batch and very unique brews. In addition to creating new fan favorites, they also take their beers and create hot sauces. Head to their tasting room or online store for B/A/Y/S Sauce, Beware the Sasko made with their Devil Made Me smoked porter or the Bacon Hot Sauce featuring their Bloody Mary brown ale. Check back frequently. They sell out quick! Chrysalis Vineyards, a beautiful vineyard and tasting room in DC&apos;s Wine Country, is home to the largest planting of the Norton grape in the United States. Winemaker Jennifer McCloud prides herself on bringing this wine to Virginia. 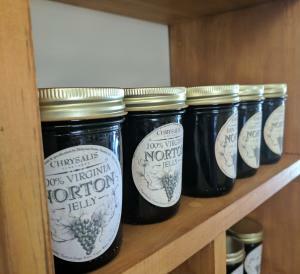 As a personal lover of Norton, I was thrilled to find out that Chrysalis is now making jellies and vinaigrettes made with 100% Loudoun grown Norton! They are perfect for a picnic at the winery or a brunch party! Beer Cheese. Delicious. Gooey. Perfect pairing with any brew, but, preferably Loudoun beer, of course. Loudoun Brewing Company in Downtown Leesburg not only makes great brews, but they also put their brews to good use when they create their house-made mustard. Grab Not Your Child&apos;s Mustard made with Loud and Brewing IPA or Trop It Like It&apos;s Hot guava horseradish mustard with their Tropical Impression brewed in. While you&apos;re taking in the views and sipping on a glass of vino at Sunset Hills Vineyard, make sure to pick up a jar (or several) of their artisan spreads made infused with their wine and delicious vegetables. 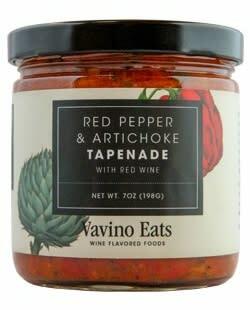 Try the Savory Red Pepper Artichoke made with Sunset Hills&apos; Mosaic or Artichoke Parmesan with Sunset Hills&apos; Viognier. These flavors are available in the tasting room at Sunset Hills and at their sister property, 50 West Vineyards.